SYNOPSIS (from Goodreads): The demon Lilith has been destroyed and Jace has been freed from her captivity. But when the Shadowhunters arrive to rescue him, they find only blood and broken glass. Not only is the boy Clary loves missing–but so is the boy she hates, Sebastian, the son of her father Valentine: a son determined to succeed where their father failed, and bring the Shadowhunters to their knees. 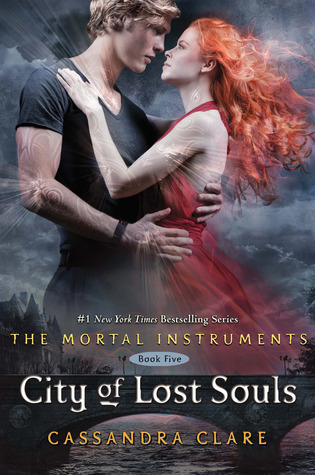 REVIEW: There were parts of City of Lost Souls that I loved. There are parts of this book I’m not overly fond of. If you don’t mind, I’m going to be completely honest – and I know that I may get a little bit of a backlash, considering the large amounts of Cassandra Clare/The Mortal Instruments fans. Just let me say this first; my current favorite series is The Infernal Devices, I am absolutely in love with this series. So I have no issues with Clare or her writing. I also loved the first 3 books of The Mortal Instruments – I couldn’t get enough and read them back-to-back more than once. I think what has happened, for me anyway, is this is one of those stories where you think you can never get enough…until you do. We, as fans, never want books to end, we want to know what happens next, we want more story, more of our favorite characters. But the thing is, too much is almost always a bad thing. I quite honestly think this series should have ended two books ago. There is nothing really new going on that doesn’t make the book feel like a soap opera. There are more relationship dynamics – and lots of unsupervised teenagers. I was okay with this up to a certain extent, but it’s starting to feel a lot less like a young adult novel (even though the most graphic details are left to your imagination – which I think is a good plan). What I do like is, take out the soap opera and all the relationship stuff and you’ve got a pretty good story. I enjoyed Jace and Clary and Sebastian dynamic (up until the end that is). I also enjoyed “Team Good,” and their trial and errors in trying to help Jace get back to normal. More than anything Magnus and Simon have carried this book for me. They both had witty things to say (to each other and in their various scenes) and just seemed to provide the most entertaining interludes between scenes. I am very, very, very thankful not to have a cliff hanger to the caliber as the last. The book was fantastic. I've said it about all her books, but it's true every time. This book dealt more with magic and the history of shadowhunters than actual demon fighting like the previous books. 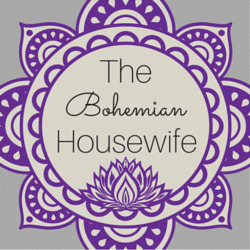 I found this welcoming and enlightening-I've had a lot of questions. It made this book all the more intriguing. I've seen lots of comments about how people were upset that the author continued the books past the third. I was very skeptical at first. Even as I read the fourth book, which I did like, I still felt skeptical. But honestly, after reading this one, I'm really glad that continued. I didn't know how she was going to continue with the series and come up with more plot-but she did. Romance. There was a lot of it in this book. Like I said, this book took somewhat of a break from the violence. That gave her plenty of time to focus on the love aspect. And I'm not just talking about Jase and Clary. She didn't great on theirs. I'm one of those people that tends to get bored with romance after a couple is finally together. But I'm still interested. There was romance between Simon and Isabelle, which I definitely want to keep my eye on-I have high hopes for them. Maia and Jordan probably had the most romantic development in the book. And of course Magnus and Alec. I like this aspect of romance, they seem more serious and in a way more realistic, if you will.